Soon, the front door swings open on the rasping hinge. Neighbors are ready for breakfast and coffee at Love Love Bakery. 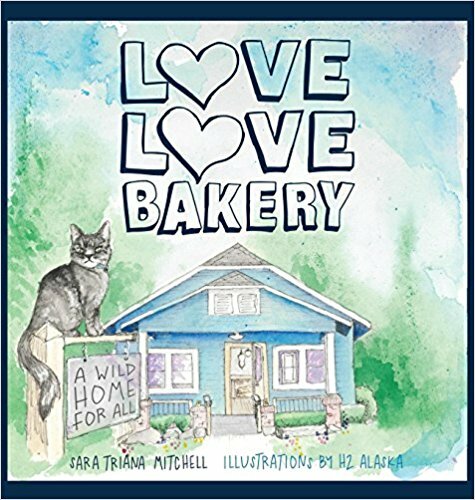 Love Love Bakery: A Wild Home for All is a story about a day in the life of a bakery and coffee shop where all are welcome. The oven roars to life before the sun is up as bakers Jane and John prepare for a good day of gathering inside their beloved bakery. Bread rises. Coffee brews. The door is open and there is a place for everyone inside. For those who savor a warm morning drink, for the children who tag along for biscuits and jam, for the music makers and the mess makers-this book is for you.